We have this divine Focus Paralane2 E-bike as a demo that you can take for a test ride – for a limited time only. We service and sell road bikes, time trial speed machines, hybrids/commuters, MTBs, & youth. Our bike servicing philosophy is to service & build every bike as if it were our own. 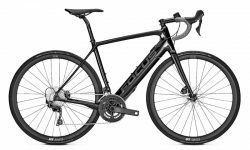 The bike brands we specialize in are Cervelo, Focus, FELT, Look and Avanti. We have a wide range of parts & accessories & anything we don’t have have, we’ll order in for you. We have wheels that meet the needs of the commuter, mountain biker, through to high performance race wheels. We have decades of riding, A-grade racing, world championship bike and triathlon racing, and mechanics experience, so you are in good hands at Happy Wheels when it comes to buying a bike or getting it serviced. Want to know more about the Happy Wheels team? Click here! Why wait 6 months to save up for the bike of your dreams when you can have it now and pay it off in fortnightly instalments. We service and build every bike as if it were our own. we LOVE blinging bikes with awesome components to match. How many bike shops do you talk to the man, who owns the shop, fixes the bike, rides like a kick arse legend and pays as much attention to your bike as if it was a bike ready to enter a pro race? Happy wheels and Computa rock nothing else comes close.